VIZ Media proudly announces that it has secured the master license for the second season of the smash hit anime action series, ONE-PUNCH MAN. The master license covers digital streaming, TV broadcast, EST, home media and merchandising rights for the property for the territories of North America, Latin America and Oceania. 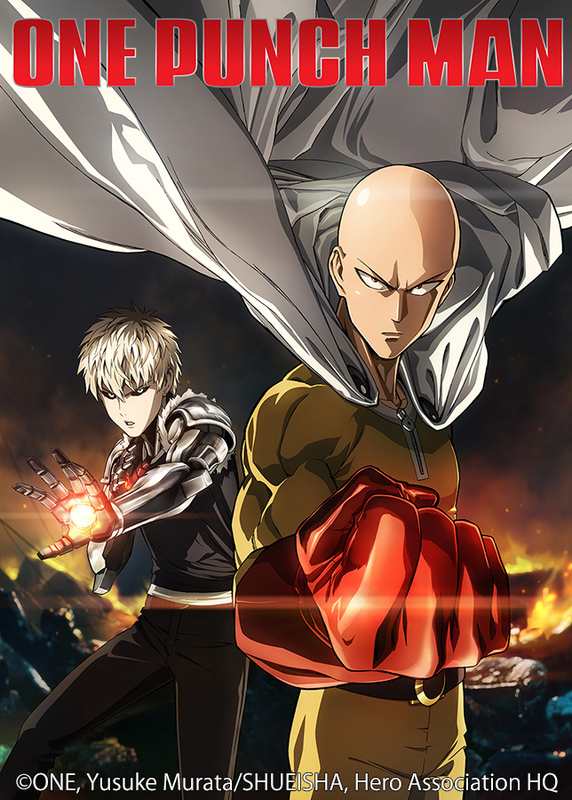 Additional details on Season 2 of ONE-PUNCH MAN will be announced as it becomes available. VIZ Media is also the exclusive North American English language publisher of the ONE-PUNCH MAN manga series, which is widely available in print and digitally from leading retailers and online outlets. ONE-PUNCH MAN will be among the extensive catalog of brands VIZ Media will showcase at Licensing Expo 2018. Licensing Expo, the world’s largest and most influential annual licensing industry event, takes place May 22nd – 24th at the Mandalay Bay Convention Center in Las Vegas, NV. Details on the event are available at: www.licensingexpo.com. VIZ Media will be located in Booth # R202. Based on the best-selling manga series created by ONE and illustrated by Yusuke Murata, ONE-PUNCH MAN depicts the adventures of Saitama, a young man who only became a hero for fun. But after three years of “special” training, he finds that he can beat even the mightiest opponents with a single punch. Though he faces new enemies every day, it turns out being devastatingly powerful is actually kind of a bore. Can a hero be too strong? Additional information on ONE-PUNCH MAN is available at: https://www.viz.com/one-punch- man.